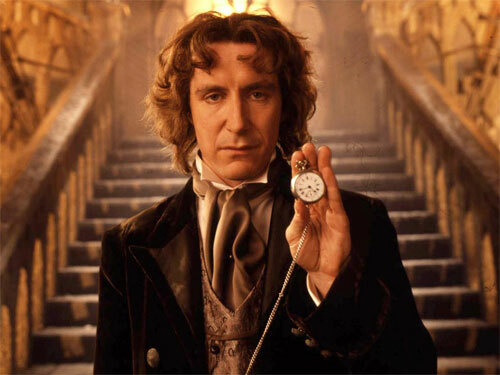 Having only appeared in the 1996 Doctor Who TV Movie, McGann’s Eighth Doctor has the shortest amount of screen time of any Doctor. However, in addition to playing the character with just the right amount charisma and eccentricity, McGann made the doctor into a convincing romantic hero (the long, flowing hair helps in this regard, though McGann has gone on record to express his intense hatred of the wig). Seeing the Doctor kiss his companion, Dr. Grace Holloway, not once but several times shocked many fans. However, in this way, the movie paved the way for the new series, where snogging is a relatively common activity when the Tenth Doctor or Captain Jack are involved. While not every Who fan admires the TV movie (many downright hate it), most appreciate McGann’s portrayal. And, thanks to the Doctor Who audio plays from Big Finish Productions, the Eighth Doctor lives on in new adventures. The grumpy grandpa. The curmudgeonly science teacher. With his slicked-back white hair and Victorian suit, the First Doctor started it all back in 1963. Encountering Daleks, Cybermen, and a host of other creatures, the Doctor and his companions showed us the pitfalls and the possibilities of traveling through time and space. Despite the fact that many of Hartnell’s episodes are now lost, his portrayal of the Doctor as a mysterious and unpredictable traveler has remained the cornerstone of the show. 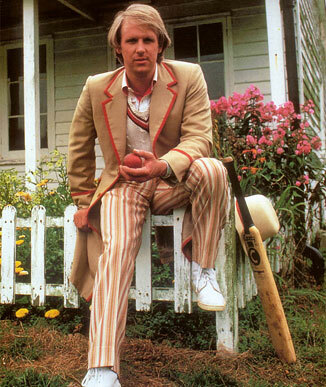 Peter Davison was given the immense challenge of taking over the title role from Tom Baker, who carried the show to great heights of popularity over the course of seven years. He was the young Doctor, underscored by his fair hair and cricket uniform. Only 29 at the time, Davison was the youngest actor cast in the part (that title now falls to the 26 year-old Matt Smith); however, he quickly proved that a young actor could bring depth and maturity to the character. He was sensitive but with a bit of a swagger. While he strolled head on into adventure, he understood the serious nature of violent situations, a trait that his predecessor lacked on many occasions. Watching the new series, it is clear that the Davison era is a huge influence. Indeed, in “Time Crash,” as the Tenth Doctor lovingly tells his fifth incarnation, “You were my Doctor,” Tennant is clearly paying tribute to the actor that inspired and influenced him. When William Hartnel’s health started to decline, the writers and producers wanted the show to continue and developed the ingenious device of Timelord regeneration. This way, the show could continue to reinvent itself while maintaining its central appeal. Troughton’s Doctor showed just how creative this plot device could be with his “cosmic hobo” interpretation of the Doctor. 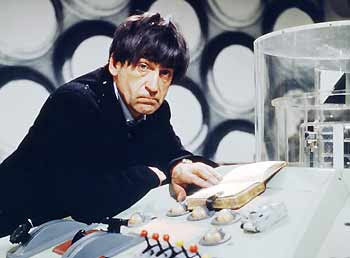 A brilliant clown, a sort of Charlie Chaplin in space, the Second Doctor was essentially the first comic doctor, injecting humor and cheekiness into the show. One of the most exciting parts of the show is that every few years, we get to see a new actor reinvent the character with new eccentricities, new mannerism, and—of course—a new wardrobe. And, it all started with Troughton, who gave new depth to the character and even showed us that the Doctor could play a mean recorder. 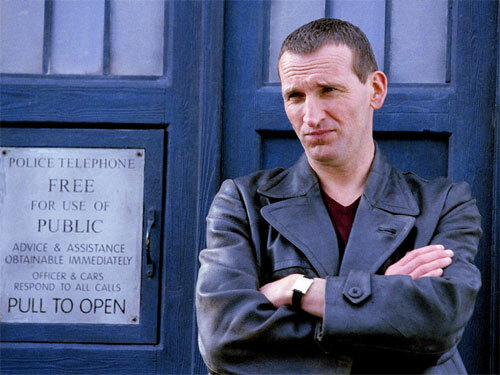 The Ninth Doctor had the huge responsibility of ushering the show into a new era when the new series kicked off in 2005. Not only did new series producer Russel T. Davies take a risk by developing a thematic continuation of the series, as opposed to a reboot or a remake, he introduced a darker, more intense doctor, reeling from the violence and trauma of the Great Time War between the Timelords and the Daleks. 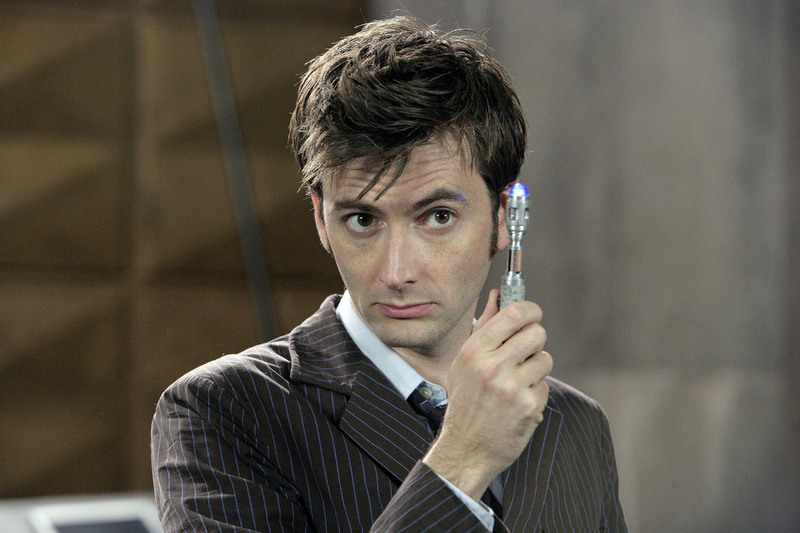 Many fans, missing the traditionally flamboyant Victorian costumes, thought the new Doctor looked too “Matrixy” or too much like a U-boat captain (a joke played out in “The Empty Child”); however, the costume perfectly fit the context of a character wrestling with survivor’s guilt and easing back into his life of traveling through time and space with a companion. Guarded and enigmatic, the Ninth Doctor was the most alien of the character’s regenerations, referring to humans as “stupid apes” and placing the needs of the many over the needs of the few or the one…no, sorry, that’s Star Trek. Anyway, the sentiment fits here. Eccelston only did one season, but it is, perhaps, the most airtight season of the entire series. Fantastic! “Wibbily-wobbily-timey-whimey!” This nonsensical phrase perfectly encapsulates the flippant unpredictability of the David Tennant years. Stylish and hip in his pinstriped suits and Converse trainers, the Tenth Doctor could be cheeky and silly one minute and sinister and dark the next. He was also an ardent pacifist with an intense dislike of guns and violence. He preferred the power of language to effect change. For three seasons and a series of specials, David Tennant, an actor with the Royal Shakespeare Company, showed us new facets of the character. This Doctor fell in love, became human, and confronted his old nemesis—the Master. This is also the era of awareness, as the show took steps to solidify links to its past, such as showing short clips of the Doctor’s previous nine incarnations in “The Next Doctor.” The Doctor even acknowledged the reality of regeneration, asserting that the previous incarnation dies while a new man walks away with the same thoughts and memories. His last words, “I don’t want to go,” were shared by legions of fans who consider him to be their Doctor. Fans of the kung-fu fightin’, prim and proper Third Doctor received quite the shock in 1974, when the Doctor regenerated into a completely mad bohemian philosopher with popping eyes, manic curls, and—of course—a giant multi-colored scarf. 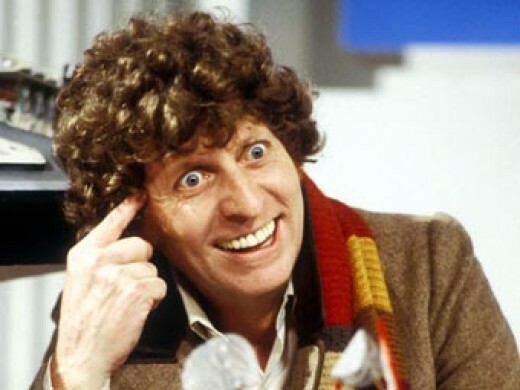 This was Tom Baker, the Fourth Doctor and The Doctor for many, including the majority of Americans, who had no idea that three previous incarnations of the character even existed when the show finally landed in the States. Baker’s interpretation hit all the right beats: humor, madness, scientific genius, arrogance, and occasional self deprecation. Along with his robot dog, K-9, and a host of alien and human companions, he encountered mummies, Daleks, Cybermen, the White and Black Guardians of Time, and several incarnations of the Master. The writing in this era was not only crisp and original, thanks in part to writers like Douglas Adams, but also suited Baker’s portrayal of the character like a glove or a well-worn scarf. And let’s face it, the string of hot female companions (Sarah Jane Smith, Leela, Romana I, and Romana II) didn’t hurt either. In the end, when the Fourth Doctor regenerated he didn’t deliver a long parting speech but simply cracked a devilish smile, assuring us that the end was only a new beginning. 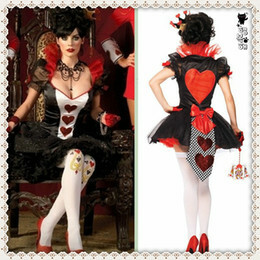 The Essential Seven is a weekly list of seven items that we at MillionairePlayboy.com believe needs to be identified. Want our opinion on a topic for a future list? Email Lando Da Pimp. Don’t agree with our list? Then leave a comment. We will try not to laugh at your dumb opinion! *Really* nice list, and I have to agree with these 7 as the ‘essential’ Doctors. Pertwee (Doc #3) must have been a tough call to not include over McGann, but I hear McGann’s audio adventures are some of the best Who adventures out there (and if you factor in the years he spent making them, he technically portrayed the Doctor longer than anyone else). Very exctied about the new series. 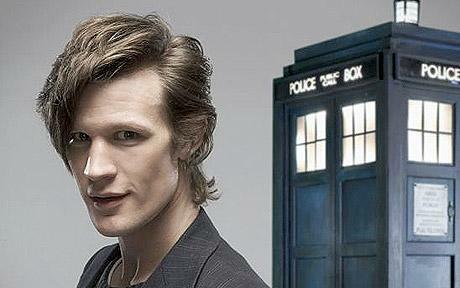 From what I’ve seen of Matt Smith, he definitely has the potential to become a fan fave. He might be the youngest actor in the role, but nothing about his character screams ‘Twilight’. Can’t wait for this weekend! BOO! BOO! How do you put in the eighth doctor and leave out both Sylvester Mccoy and John Pertwee! There’s only been ten doctors- this isn’t an essential seven, it’s a pick the three worst! And to call the third doctor prim and proper! Does dressing up as both a milk man and a cleaning lady to sneak into a enemy base sound prim and proper? Does Venutian Jujitsu sound prim and proper? Whether flipping people with judo moves or riding on a hovercraft, the third doctor was the action hero of the doctors! And that velvet suit!